In this section you will learn how to review and revise the database attributes of segments, components, and pipes. Review Attribute Data reviews database information such as: piping, equipment, and nozzle attribute values. Select Review Data from the Piping pull-down menu. Revise Gasket Option specifies an optional gasket for a specified component connect point. Select Revise Data from the Piping pull-down menu. Revise Bolt Option specifies optional bolt data for a specified component connect pint. Select Revise Data from the Piping pull-down menu. Load Weld Numbers automatically creates weld numbers that are unique within the project. Select Revise Data from the Piping pull-down menu. Revise Weld Type specifies the weld type for a specified component connect point. Select Revise Data from the Piping pull-down menu. Isometric Drawing Limit places a marker indicating an isometric drawing limit in the user data of a selected piping item connect point (both mated items will be updated). Select Revise Data from the Piping pull-down menu. Component Group defines a set of components to be treated as a group. Select Revise Data from the Piping pull-down menu. Recompute Wall Thickness recalculates the wall thickness values of entire pipelines or of an active group. Select Revise Data from the Piping pull-down menu. Update from RDB updates data in the model based upon revisions to data in the Specification/Material Reference Database, (such as a change to the Piping Job Specification or Physical Data Library). Select Revise Data from the Piping pull-down menu. Approve Piping changes the approval status attribute of a pipeline or the active group. Select Revise Data from the Piping pull-down menu. Review RDB Report reviews components requiring reconstruction, replacement, or updating as a result of changes to the Reference Database. Select Review Data from the Piping pull-down menu. See Review Attributes for reference information. Review the database attributes and user data of a segment in pipeline MMA0104. 2. Select Review End 1. 3. Select Exit if finished. Review the database attributes and user data of a component in pipeline MMA0104. 2. Select Review Connect Point 1. See Load Weld Numbers for reference information. Load weld numbers for all field welds on pipeline MMA0104. The system highlights the pipeline. 3. Toggle Update Undefined Weld ID's to Update All Weld ID's. 4. Accept the form with Confirm. The system updates the database. See Revise Weld Type for reference information. Place a field weld at both flanges for GAT-114 in pipeline MMA0105. 2. Key in 4 (100). 4. Select Weld Type at Joint by User. 5. Identify CP2 of flange (A). 6. Select Field Weld from the list, then Confirm. The system updates the database and places a temporary asterisk at the field weld location. 7. Repeat steps for flange (B). Revise all welds between pump suction and gate valve for pumps 38P-101A and B in pipeline MMA0104 to shop welds. See Component Group for reference information. Create a component group for induction bends. The system automatically assigns the next component group number. 2. Identify the first component. The system highlights that component. 3. Identify the second component. 4. Continue to identify components until you are finished. 5. Accept the form with Confirm. Review a component group that already exists. 2. Identify the component group for review. The system highlights and displays information about that group. 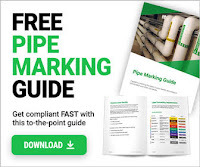 See Approve Piping for reference information. 2. Select Approved from the list. 3. Accept the form with ConfirmÖ. Place pipeline MMA0107-XIN-2C0032-N from pipeline MMA0108-6IN-2C0032-N to pipeline MMA0105-6IN-2C0032-N and to its completion using the commands learned. Refer to the figure below for detailed information.